Picture the scene; a small terraced restaurant perched directly on a rocky outcropping of coastline, with crystal clear azure waters and hidden caves, bordered by deep, thick, luxuriant pine forest. 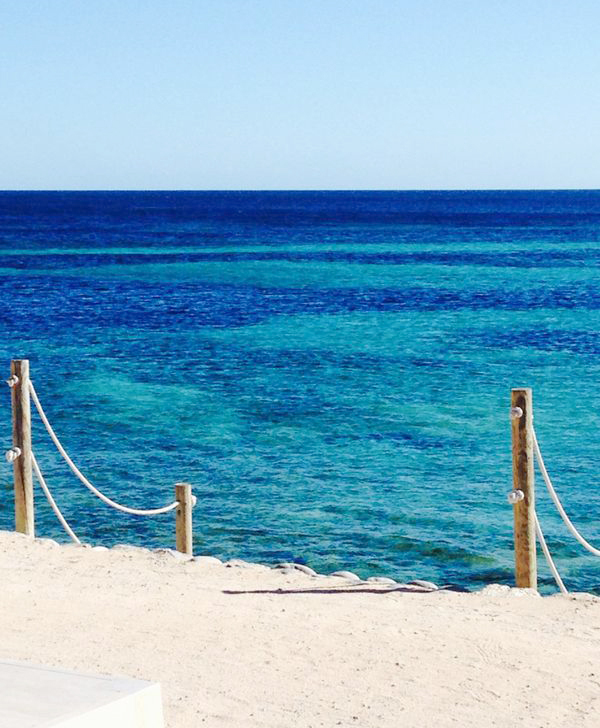 This is Es Cavallet on the south coast of Ibiza, a neighbouring beach to Salinas and a hidden Ibizencan treasure. 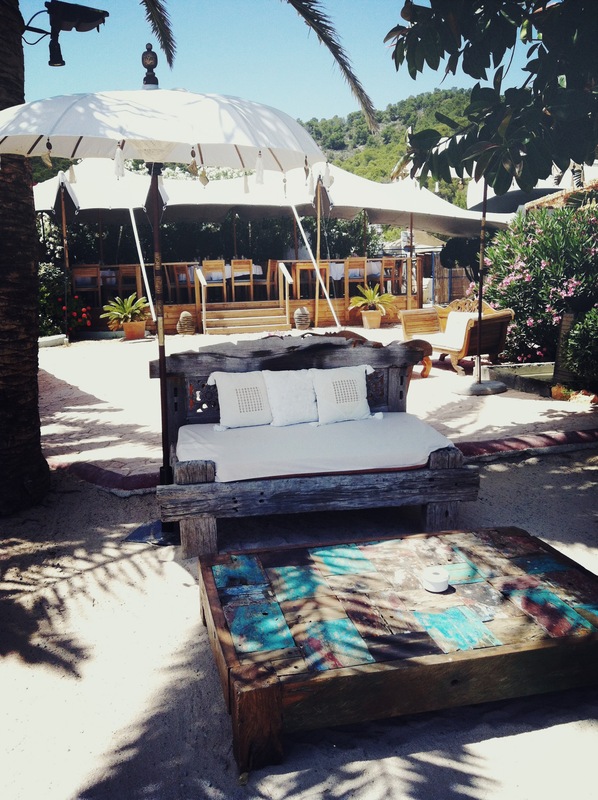 Here we find one of Ibiza’s best kept secrets, a restaurant; La Escollera. La Escorella is a family owned restaurant with over twenty years in the business, both Gavin Kendrick and Phil Cooper have been invited to grace the decks there for the last few years, giving them both the musical freedom to dig deep within their extensive, eclectic vinyl collections to bring forth the most obscure of hidden gems. 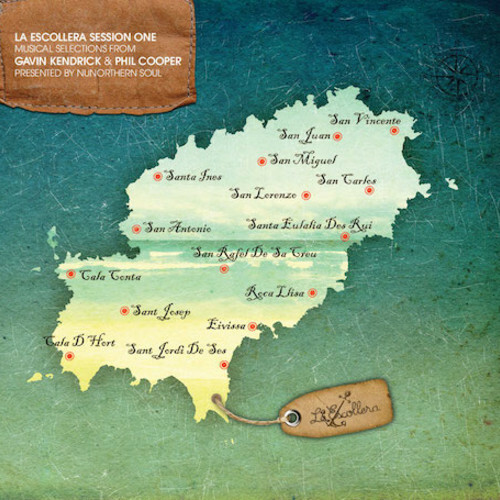 This type of musical freedom can only really be explored in a place like La Escollera, and here we have the compilation album to prove it. From the outset the vibe is chilled kicking off proceedings with BJ Smith (AKA Smith & Mudd) Runnin, we now know where this comp is heading. I’m glad to say that we are treated to one of the most forward thinking Ibiza “chill out” albums in a very long time. The long running Jockey Club Salinas Sessions have been very hit and miss over the last few years with only the odd incarnation hitting the spot. Most of the other offerings always fall far from the mark. However here we are presented with a truly adverse interpretation of the Balearic Beat. As is all that should be with Balearic “anything goes” and this really is true with this outstanding compilation. Using the extensive musical knowledge of both Kendrick and Cooper we are really transported directly to La Escollera and their truly unique sunset sessions. Usually intimate and enjoyed by the few, now the music can now be enjoyed by all, with musical styles ranging from Reggae to Hip Hop to Soul to House. This compilation quite literally knocks spots off the competition, I haven’t enjoyed an Ibiza compilation album so much as the original Cafè Del Mar mixed by Josè Padilla back in 1994, this really is a future classic in the making. Cheers for sharing. Looking forward to this with a cold beer later! Hello there! I’m the daughter of the owners of La Escollera. Thank you so much for your nice review on the CD. Can I maybe send you 2 more recent pictures of the place? These are super old and it has changed quite a lot! Thank you for your kind words! I would love to have some more updated pictures if possible? Could you send them to boutainblog@gmail.com then I will update the blog piece. We are over on the island in the next couple of weeks so we may just pop in to see you!